Sowmya Hariharapura Yogendra, Satish Pai, Manjula Santhepete Nanjundayya. Background: Madhu (honey) is the only natural sweetener available since ancient times. It is used both as a food and medicine since ages. Ayurveda literature emphasises Madhu as Sarvapramehahara (curer of all types of Prameha) and is indicated in the management of Kaphaja Vyadhi (diseases caused due to Kapha Dosha) and Sthoulya (Obesity) due to Medo Dhatu Vruddhi (increase in adipocyte mass). Aim: the study is aimed at evaluating the anti-hyperglycaemic activity of Madhu. Materials and Methods: Study was conducted on STZ (streptozotozin) /HFD (High fat diet) induced diabetes in obese wistar albino rats. Madhu mixed with Triphala Kashaya (Samyoga) and processed with Triphala Kashaya (Samskara) was administered for 30 days as per dose conversion formula. Reduction in body weight, blood lipid profile and blood sugar levels were recorded and statistically compared with control, high fat diet group and other groups treated with Kevala Madhu, Jala Samskaarita Madhu (honey processed with water) and standard drug (Pioglitazone). Results: Initial reduction in body weight and serum glucose levels was observed in all treated groups. Triphala Kashaya mixed with Madhu treated animals exhibited significant regain of body weight and reduction in serum glucose, serum cholesterol and triglycerides concentration. Conclusion: The study reveals significant anti-hyperglycaemic activity associated with anti-hyper cholestraemic activity of Madhu mixed with Triphala Kashaya (Samyoga group) compared to Samskaritha Madhu (processed honey). Sowmya Hariharapura Yogendra, Satish Pai, Manjula Santhepete Nanjundayya. Evaluation of Anti - Hyperglycaemic activity of Madhu (Honey) in High fat diet induced diabetes - An Experimental study. J. res. tradit. med. 2017; 3(5): 129-136. Sowmya Hariharapura Yogendra, Satish Pai, Manjula Santhepete Nanjundayya. Evaluation of Anti - Hyperglycaemic activity of Madhu (Honey) in High fat diet induced diabetes - An Experimental study. http://www.tmjournal.org/?mno=290025 [Access: April 19, 2019]. Sowmya Hariharapura Yogendra, Satish Pai, Manjula Santhepete Nanjundayya. Evaluation of Anti - Hyperglycaemic activity of Madhu (Honey) in High fat diet induced diabetes - An Experimental study. J. res. tradit. med. (2017), [cited April 19, 2019]; 3(5): 129-136. Sowmya Hariharapura Yogendra, Satish Pai, Manjula Santhepete Nanjundayya (2017) Evaluation of Anti - Hyperglycaemic activity of Madhu (Honey) in High fat diet induced diabetes - An Experimental study. J. res. tradit. med, 3 (5), 129-136. Sowmya Hariharapura Yogendra, Satish Pai, Manjula Santhepete Nanjundayya. 2017. Evaluation of Anti - Hyperglycaemic activity of Madhu (Honey) in High fat diet induced diabetes - An Experimental study. JOURNAL OF RESEARCH IN TRADITIONAL MEDICINE, 3 (5), 129-136. Sowmya Hariharapura Yogendra, Satish Pai, Manjula Santhepete Nanjundayya. "Evaluation of Anti - Hyperglycaemic activity of Madhu (Honey) in High fat diet induced diabetes - An Experimental study." JOURNAL OF RESEARCH IN TRADITIONAL MEDICINE 3 (2017), 129-136. Sowmya Hariharapura Yogendra, Satish Pai, Manjula Santhepete Nanjundayya. "Evaluation of Anti - Hyperglycaemic activity of Madhu (Honey) in High fat diet induced diabetes - An Experimental study." 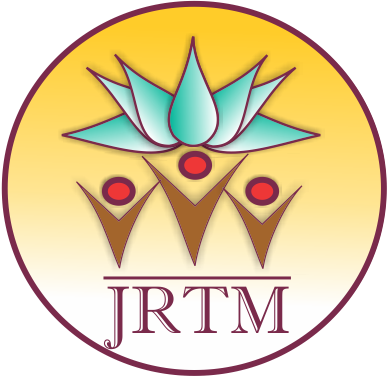 JOURNAL OF RESEARCH IN TRADITIONAL MEDICINE 3.5 (2017), 129-136. Print. Sowmya Hariharapura Yogendra, Satish Pai, Manjula Santhepete Nanjundayya (2017) Evaluation of Anti - Hyperglycaemic activity of Madhu (Honey) in High fat diet induced diabetes - An Experimental study. JOURNAL OF RESEARCH IN TRADITIONAL MEDICINE, 3 (5), 129-136. J. res. tradit. med. Year: 2017, Volume: 3, Issue: 5: 129-136.